As the successor of the current Omikron 1500 having 140 lm/W, the Evo II represents the next step in a process of continuous improvement. Equal light output and the same design, but a significantly higher efficiency. Available for order now, can be delivered from mid 2016. 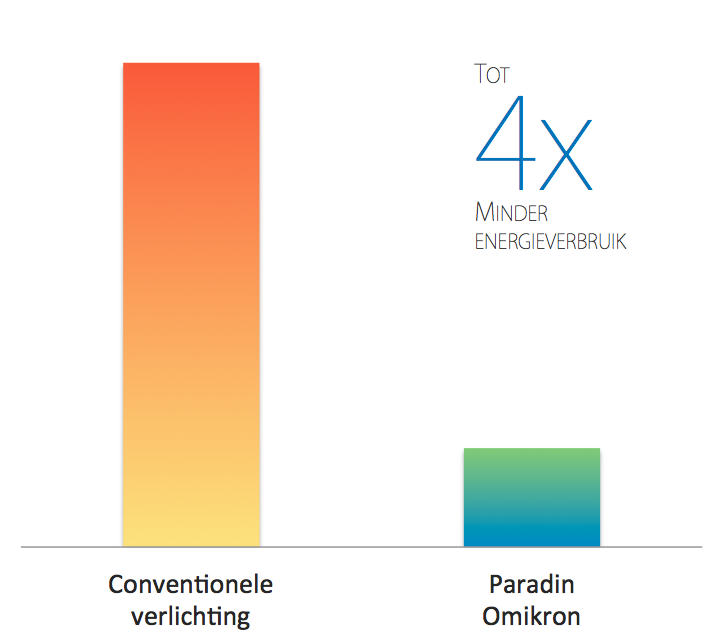 Paradin has different high-efficiency solutions for outdoor lighting. Contact us for more information on specific offers. The Omikron line of products has been specifically designed to meet the needs of the professional customer. Our guiding principles are quality, simplicity and flexibility. Thanks to the high luminous intensity per fixture the same light output as an existing installation is reached with fewer fixtures. Coupled with the extremely high efficiency – 140 to 160 lm / W, depending on the model – this allows for a drastic reduction of energy consumption. From the start Omikron was developed to be competitive with the existing range of conventional lighting with regard to Total Cost of Ownership. Throughout its lifetime the fixture is a profitable investment: at purchase, during installation, usage and maintenance. Omikron is characterized by timeless, robust design that perfectly matches function and style. The smart Plug & Play system makes for easy installation saving time and money. Fixtures can be easily integrated into a larger whole, thanks to corner brackets and dummy elements. Accessories such as motion detectors and emergency lighting are mounted using the same plug & play connectors. High brightness combined with wide range provide optimal illumination even at high placement. Optional, replaceable covers provide additional protection, easy maintenance and can be fitted with special coating. The fixture can be used in virtually every industrial workspace – even if dirty or dusty – and thus enables standardization to within a company. The Plug & Play system allows easy expansion with proximity or motion detection and emergency lighting. In developing Omikron we have focused relentlessly on the aspects that really matter. For example, our fixtures lack dimming or extra optics. These features reduce the efficiency of the luminaire. At the same time they increase the cost, complexity and error sensitivity and increase installation and maintenance costs. Therefore, the necessary TCO is not achieved. We are convinced that for our customers less is more. Robust through simplicity. That describes Omikron. Fewer components means fewer defects. The aluminum housing ensures proper cooling and increases life expectancy of the luminaire. Glued silicone seals close perfectly. Paradin gives standard 5 years warranty on the fixture. Lighting technology evolves rapidly. Innovation however, needs to be coupled with measurable improvement. 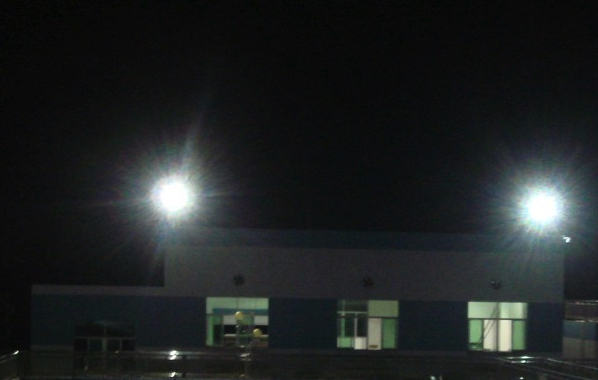 Both in terms of performance and total quality of the lighting solution. Our extensive track record and years of experience give us a unique insight into the needs of our customers. Omikron is designed to follow the technological evolution while retaining its essential characteristics and external appearance. Existing installations can be seamlessly extended in the future while still benefiting from any improvement in efficiency. We use one all-in price including all necessary supplies such as brackets and fasteners.